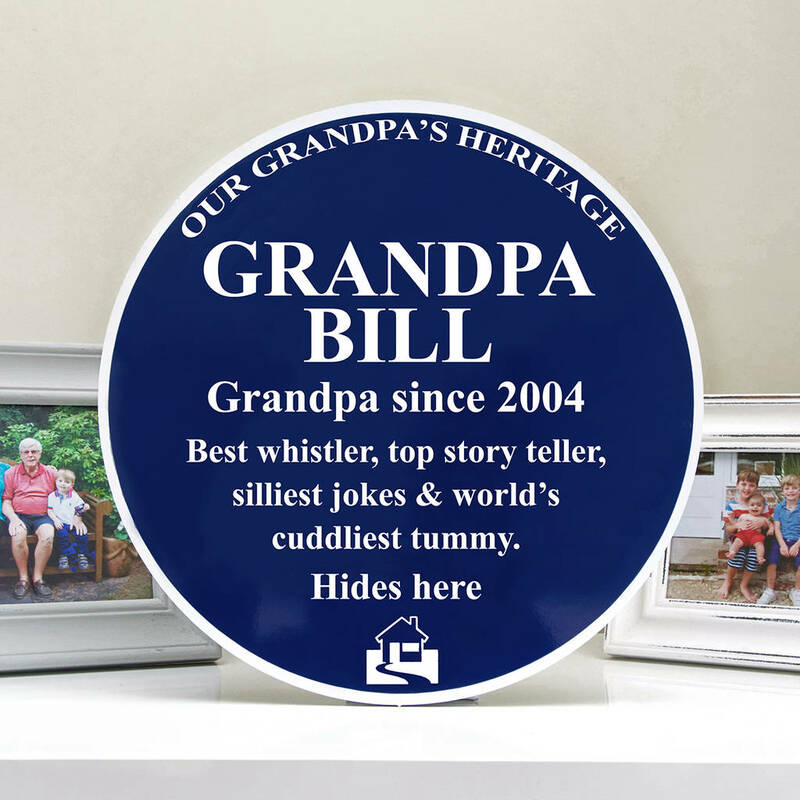 What an amusing and unique gift this Personalised Heritage Sign is to show the best moments in someone's life. 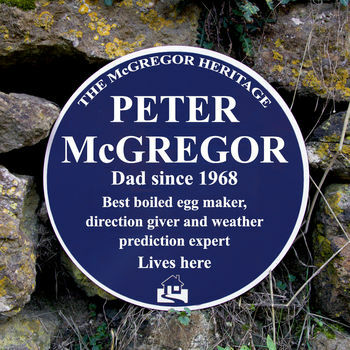 These Personalised Blue Plaques are a take on the English Heritage's blue plaques that can be found all over the country highlighting houses where famous people have either lived or died in. 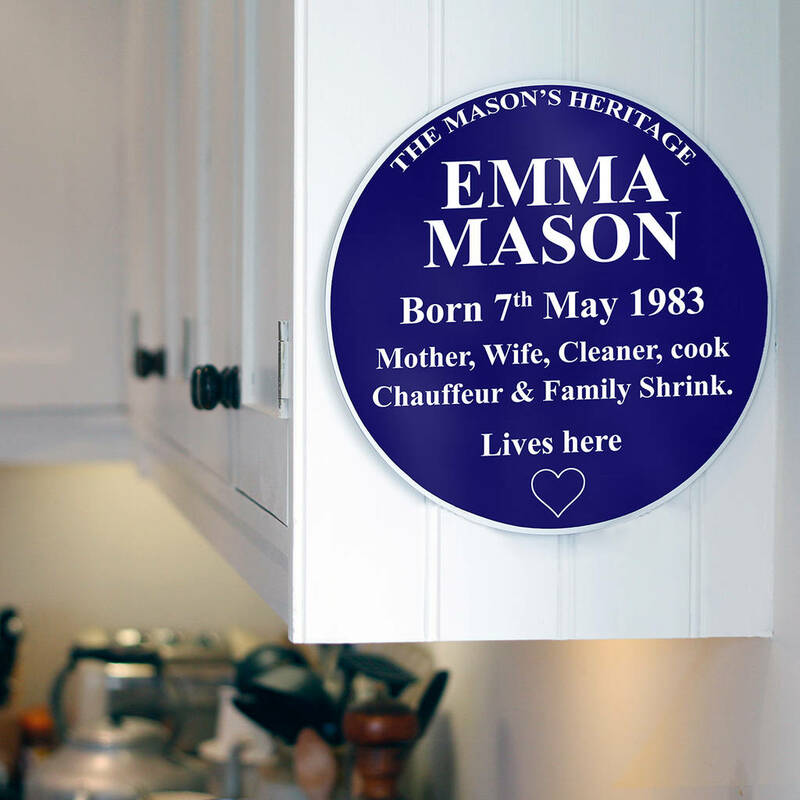 They are perfect for birthdays, Father's Day, Mothering Sunday, leaving gifts, retirement gifts or any time that you want to give a really super personalised gift. 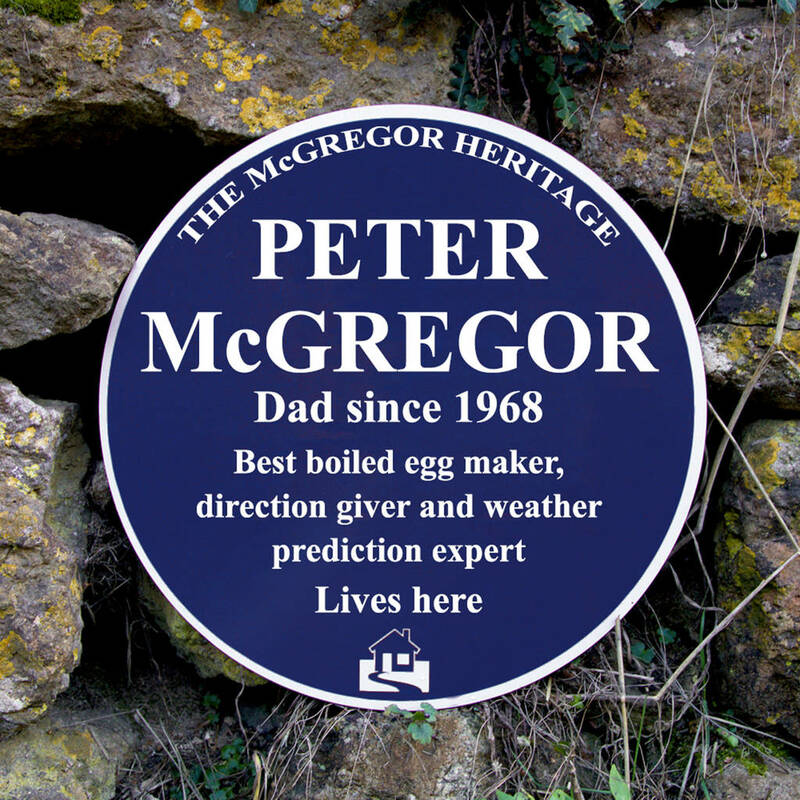 Please note that the layout will vary depending on what fits best. 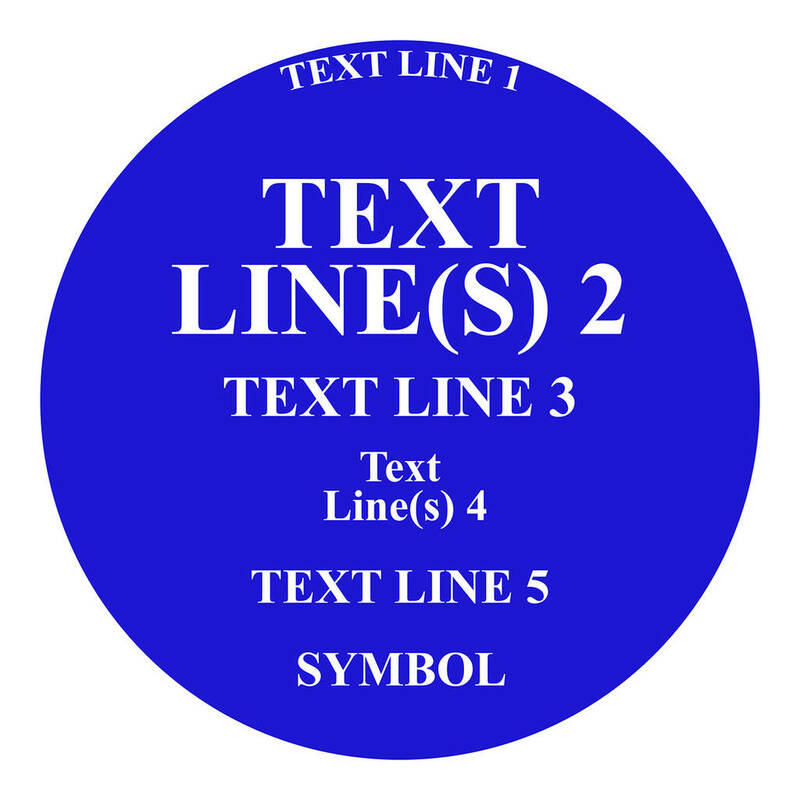 Please see images for layout options. 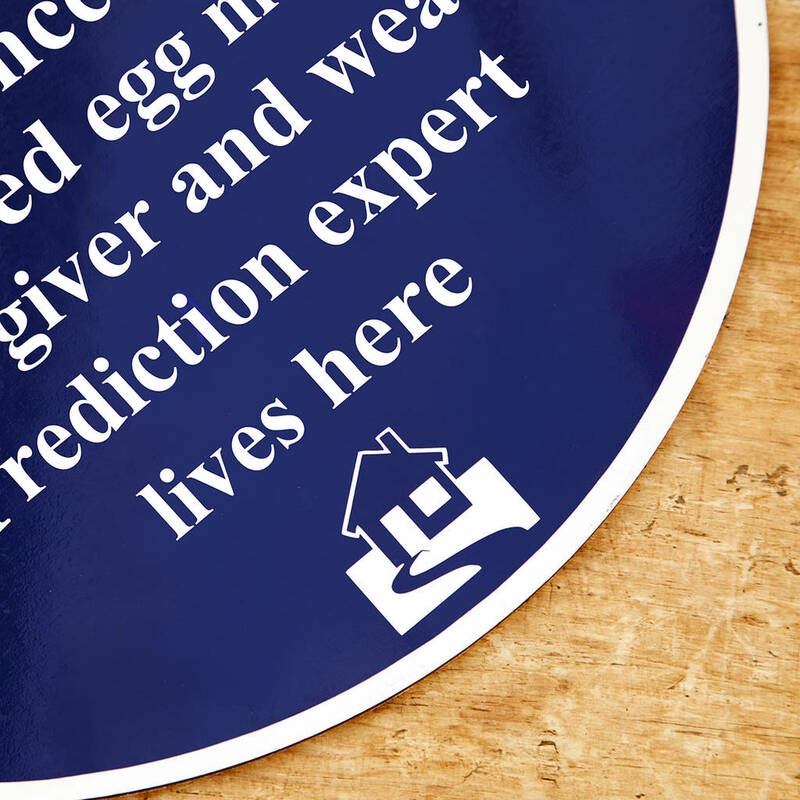 High performance film on aluminium composite, this sign is weatherproof so can be used both indoors and outdoors.